As a person who lives life to the fullest, you know how valuable sleep is. That's why you make a conscious effort to prepare your bedroom, your body, and your mind to get the best sleep possible. But what if you're doing everything you're "supposed" to be doing, and still waking up the next day feeling tired, grumpy, and seriously frustrated? Chances are, outside factors are to blame. One of the biggest culprits of sleep sabotage? Noise pollution, whether it comes from inside and/or outside your home. Here, we'll explain how noise pollution negatively impacts your sleep -- and tell you what you can do about it. Simply put, noise pollution is any external noise or sound that disrupts your life -- and especially your sleep schedule. It can come from people, machines, animals...the list goes on. At night, noise pollution affects sleepers differently, depending on which stage of the sleep cycle you’re in. Though you're more likely to be woken up by noise pollution during the lighter stages of the night, studies show it's the noises that hit you during your deepest sleep state that do the most damage. Additionally, people respond to different types of noise pollution depending on their personal priorities -- which are often emotionally-charged. For example, new parents might wake up instantly when they hear a noise that, in their sleeping state, they interpret as a baby crying. Or, a worker at a startup may shoot up in the middle of the night because the noise pollution disturbing them sounds like an email alert or work text. A recent study by the World Health Organization found that noise pollution may have a far greater impact on both the quality of our sleep and our overall health than we initially realized. 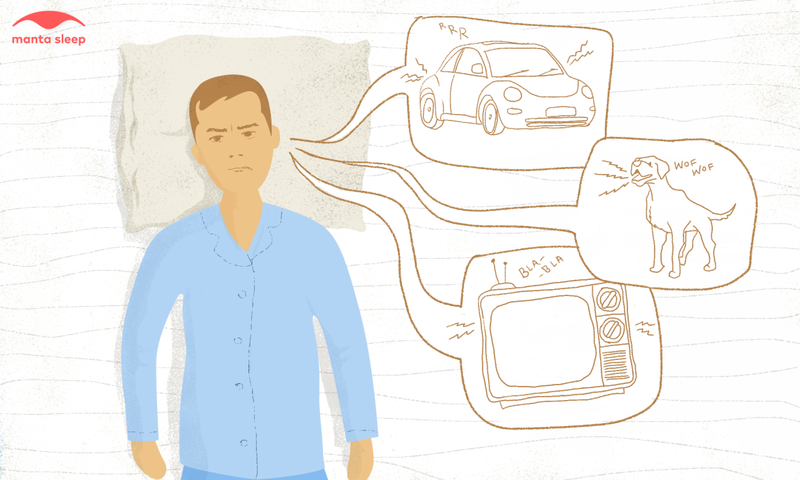 Because when we're awake, it's much easier to manage how we react to noise and other stimuli. 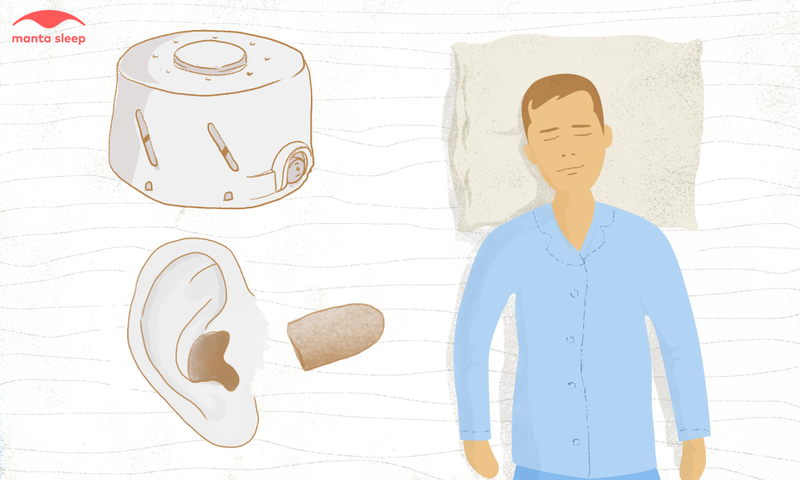 However, during the sleeping state, we can't control how our body reacts to noise pollution. 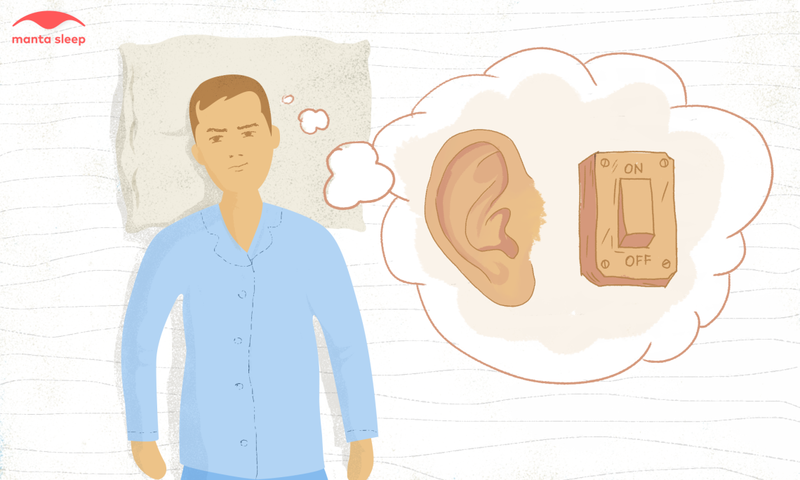 Since our eyes are shut while we sleep, it's our ears that are the most sensitive to this noise -- and therefore at the greatest risk of damage. Essentially, because we can't "turn off" our ears at night, we're much more likely to snap awake when we hear even the slightest noise. This is because our other senses aren't available to help us to accurately assess whether or not the noise constitutes a threat to our safety. This means that our sleep can't "restore" us as well as it used to -- which is why so many of us feel exhausted the next day. Additionally, a study published in Noise and Health Journal takes things one step further. 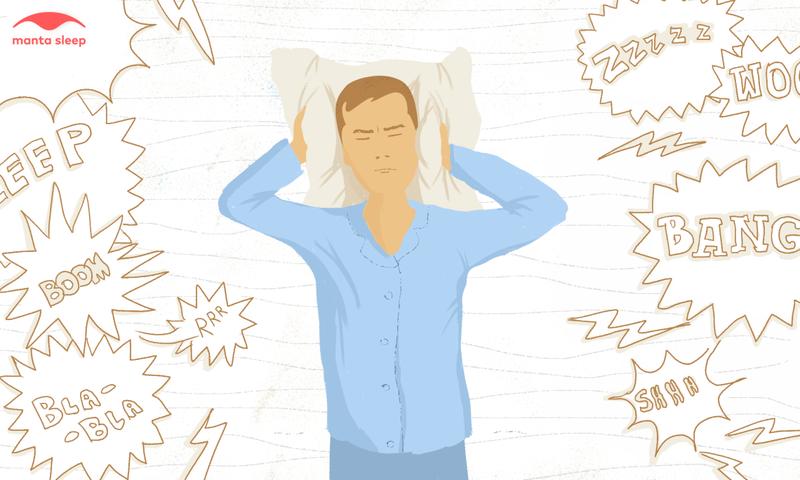 In addition to feeling groggy, noise-interrupted sleep can limit our motor skills, our creativity, impair our judgment, and even make it difficult to remember things. Finally, according to a recent study published in Sleep Science, there are additional biological consequences of noise pollution. These include an increase in your body's production of adrenaline, a faster heart rate, and even the potential for an increased risk of diabetes, depression, and hyperactivity. The first option is to purchase a white noise machine. Essentially, this machine “cancels out” noise pollution by playing a non-distracting, constant sound. Usually, white noise machines sound like a fan blowing or an air conditioner running. The machines not only block out external noises while you’re trying to fall asleep, they also prevent you from hearing environmental sounds that are especially triggering -- like car horns -- during your deepest stages of sleep. If you don’t want to invest in a white noise machine, there are several white noise YouTube videos you can play to help you to block out noise and fall asleep. The second option is better suited for those who need complete silence to be able to fall asleep. Believe it or not, a simple pair of earplugs will work perfectly to counter noise pollution. They work by safely expanding in your ear canal and completely sealing it off, so that sound can’t hit your eardrum and wake you up. They’re comfortable, and chances are that once you get used to them, you won’t feel them at all. If you’re concerned that you’ll sleep through your alarm with earplugs in, invest in a vibrating alarm clock. Many earplug devotees also set their coffee pot timers in the morning, so the pleasant smell of that morning cup of joe wakes them up. Of course, noise pollution is hardly the only thing that keeps us up at night. From a partner’s jackhammer snoring to light emitted by power indicators, there are all kinds of factors that seem determined to sabotage your sleep. Luckily, you don’t have to put up with them any longer. Keep checking back with our blog for more advice on how to conquer some of the most common -- and most persistent -- sleep problems and disturbances. In the meantime, crank up that white noise machine or put in your earplugs, and get the good night’s sleep you deserve. 😱 Did you know noise pollution during sleep is bad for your health? Learn how to reduce it!